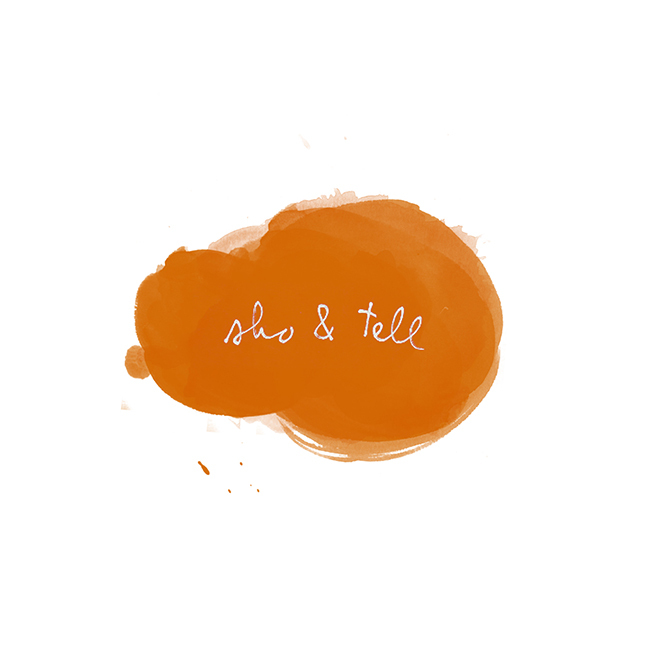 sho and tell: A Way With Words. I don't know what's more lovable: Etsy shop-owner Francesca Longo's vibrant wares, or the words she uses to describe them. Take, for instance, this "funny hat with pimples." Or these "too long gloves." Here's a pair of bangles called "carrots and tomatoes,"
and a "bracelet in love with a vintage button." I'm tickled. Shop more at Francesca's Etsy shop, here.